I have great news dear Animoog players! A new expansion pack for Animoog, and it’s an excellent one! I’m happy to share with you the Animaal pack, which brings us 55 presets and 134 new timbres from Terra Nova Music. Animaal: You've never heard Moog like this. NY, NY:  Today Terranova Music released a set of jarringly organic presets for Animoog, Moog’s synthesizer for iOS. The Animaal library takes most of its inspiration from insects but also includes whales, birds, cats, and reptiles. Technologist Matthew Aidekman sifted through hundreds of hours of ECM Artist David Rothenberg’s private library of nature field recordings and painstakingly transmogrified them into magical instruments. “When David showed me Animoog,” Aidekman said, "I was struck by its ability to make any sound playable. We’ve tested the limits of that by dumping tons of unusual biological sound in and making them play like professional instruments.” Aidekman said. The results are uncanny. Animaal spans from a searing rattle-snake inspired leads to “galloping” basses but it’s real power is in full spectrum drones and pads which seem to simultaneously strike the ear as single 3D objects and serve as complete living soundscapes. They’re slimy, they’re odd, they grow on you. The beasts have been released. An accomplished recording artist, writer, and thinker, David Rothenberg is Distinguished Professor of Philosophy and Music at the New Jersey Institute of Technology. Matthew Aidekman has been a record producer, music technologist, and composer currently working on technologies specific to Indian classical instruments. Here’s a video showcasing some the included presets. With quality presets such as these ones, I’ll certainly spend more time exploring the whole pack! 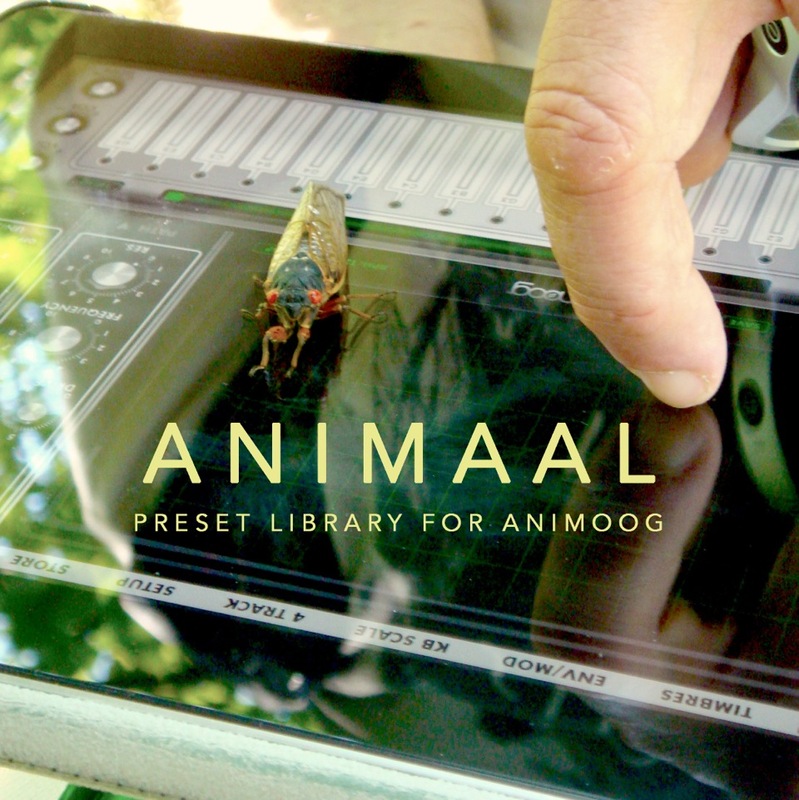 Now it’s your turn to play Animoog with these wonderful new presets, you can get the Animaal presets and timbres for $3,99 directly on Bandcamp. “55 presets based on 134 new timbres derived from the sounds of hermit thrushes, humpback whales, seventeen year cicadas, superb lyrebirds, snowy tree crickets, various tree frogs, swamp demons, rainforest ambiences from Senegal and Cameroon, purring cats and European marsh warblers–quite simply, the best more-than-human musicians on the planet. Ill check out the videos after I’ve done my homework. I am reading and researching my way through a book called Computer Music Tutorial , it’s a very detailed and technical. book with over a 1000 pages of all things electronic music .as I was reading it earlier I realised that when I finish it , I will know EXACTLY how to get high quality timbres . At the moment making good timbres have been a real potluck thing for me. I have put mathematically perfect sine wave and triangle waves into it and I have been gretting those buzzing sounds I described earlier. Have learnt that making Animoog timbres takes a bit more finesse than some other wavetable synths. When I’ve learnt how to really get them good, I can write up a detailed tutorial for you to share if you want. how do I get these sounds onto my IPad. I have bought it from bandcamp but it sounds I cannot download it on there and have to from a computer that can download. How do I get it from my PC to the IPAD and where do I put it on the IPad?